Turns out our boy Gjally will be left behind when The Taken King comes out this September. 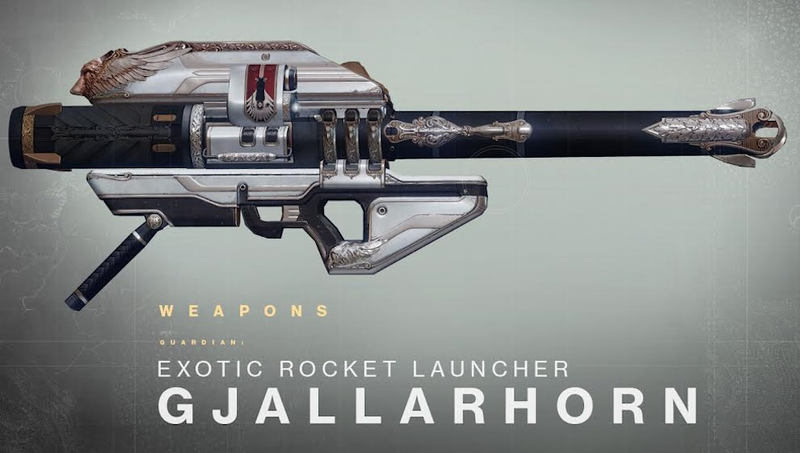 While some exotic items—like Suros Regime and No Backup Plans—will get upgraded Year Two versions with better light and stats, Gjallarhorn won’t be one of them. In other words, soon we’ll have new overpowered weapons to play with. And although anything could change—and it could very well turn out that Year One versions of weapons are just fine for the new content in The Taken King—we’ll most likely see Destiny groups all across the world start phasing out the trusty rocket launcher in favor of shinier, newer weapons. Good night, sweet prince. For more on how Destiny will change once it’s out of beta next month, check out our breakdown of yesterday’s stream on gear and levels.